A few years ago, Mark Kerwin bought coffee beans at Klink Coffee. Once back home, he made himself a cup of coffee, a great cup of coffee! It tasted so good that he took his phone and tweeted about it. His tweet reached Klink Coffee, who at the time was actively searching for a business development manager. They contacted Mark and offered him the position. That offer came at the right time. Mark had recently been diagnosed with type 1 diabetes. The unfortunate discovery was devastating for him, but there was a silver lightning. It somehow helped him figure out what was important to him, what he really wanted to do with his life. One thing was clear: working in supply chain management for a private company as he was doing at the time, wasn’t it! 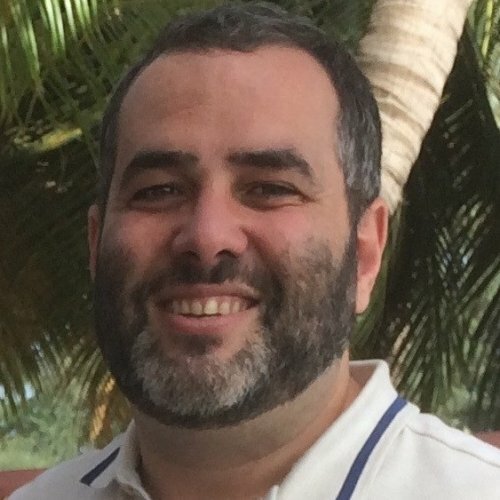 Mark became Klink’s new business development manager! He soon would become the Executive Director of the social enterprise. From the moment Mark joined Klink Coffee, he strived not only to provide employment opportunities for people with barriers to employment, but to also provide them with a supportive working environment where they can emancipate. 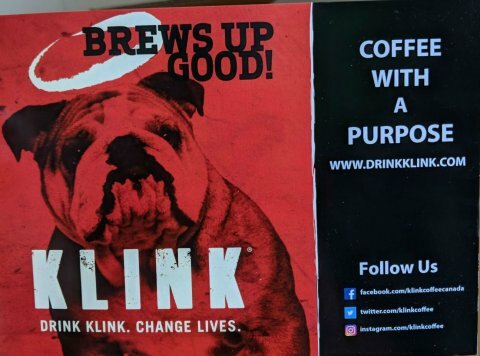 Mark positions Klink Coffee at the intersection of social enterprise, the coffee industry and the correctional system. And this is where this good news story takes a twist. At the time I met Mark, Klink Coffee had come to the difficult decision to end operations. Mark is a resilient individual. Resilience is one of his strongest value, which he tries to transmit to the people he has hired: individuals struggling to re-enter society after serving jail sentences. Just like Mark and the people he hired, social enterprise needs to be resilient. And part of being resilient is looking at what lessons can be learned when the story takes a turn like this. Klink Coffee provided more than jobs: it gave people a future, it gave them hope. After all, work is a major part of one’s life and socialization, it answers a basic need of belonging. Community is everything and Klink Coffee was at time the only community people coming out of jail had. To fulfil their mission, Klink Coffee was able to rely on a vast network of social enterprises, non-profits and governmental agencies. Mark fostered great relations and partnerships within this ecosystem with United Way, the Social Purchasing Project, Beanwise, Furniture Bank, the federal, provincial and municipal governments. Klink Coffee is a Buy Social Canada (BSC) certified social enterprise. Mark mentioned that the certification provided them with notoriety and legitimacy among the social enterprise ecosystem by helping people to purchase from enterprise that shared their values. Klink Coffee also benefited from the support of the community in the form of donations and volunteers, a lot of whom are former employees who transited through Klink Coffee as a way of giving back to the social enterprise for changing their lives. One former employee reported to Mark that her quality of live significantly improved when she started working at Klink Coffee. She acquired business capacity, developed social skills and boosted her self-confidence. She also gained independence through her new source of income and the apartment she was able to get through a recommendation from her employer. Eventually, she put the business and social skills she gained to good use by starting her own business. In hindsight, Mark thinks that access to loans and grants, taking into consideration the specific needs of the social enterprise sector, would have helped them to sustain. Increased access to business development and financial capacity for social enterprises would have been beneficial as well. Mark had in mind something like a bootcamp for social enterprise executive directors that would constitute a con crete and effective way to acquire much needed knowledge and skills. Lastly, despite a vast and strong ecosystem, it is Mark’s perception that that governments, agencies and intermediaries still work in silos, making it difficult for enterprises like his to get support in a timely manner and ensuring their sustainability. For the individuals who benefited from Klink Coffee, the closure means the lost of a social enterprise that provides a supportive work environment for people who need it the most. More than a simple transition to the economy, Klink helps people to become responsible community members, providing their employees with more than just business skills, but also a community, hope, and most importantly a sense of belonging. For the community at large, the end of Klink Coffee means one less opportunity to raise awareness on social enterprises and their positive impact on marginalized individuals. But Klink Coffee, and Mark’s work, show us a pathway to growing our compassion for people coming out of the criminal justice system and striving to understand their realities, their stories, their lives. A pathway to becoming better community members leading the way to a more inclusive economy -- just like Klink Coffee did.